This fashion project was shot in an alley behind an old industrial factory (post Civil War Era) turned into an art complex. 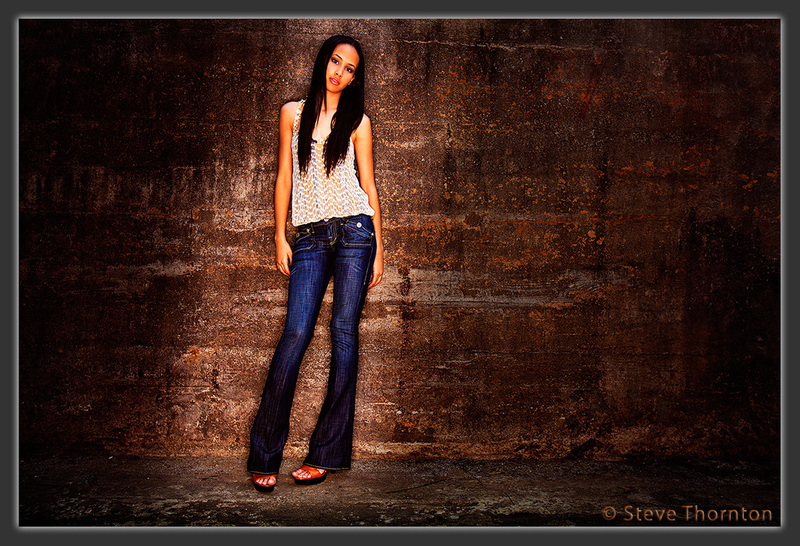 Gear used: Lumedyne battery powered strobes, a Lumedyne ringflash with a Hensel Octa Sun Haze RF90 attached. MicroSync radio sync trigger.